Werther International has established a leading position in manufacturing of above mentioned product lines and has gained a worldwide reputation also as a OEM partner of others manufacturers in different Countries of the world. Back in the 40’s as the 2* world war was coming to an end and poverty was the rule, a young boy called Werter Lori aged 10 had to work with his father on the family’s farmland just on the outskirts of Reggio Emilia, a lively little town in the north of Italy with not more than 65,000 people back then. Today, this town is part of what is known as the “Valley of Motors” and some of the world’s most important and famous motor brands are currently present in this area such as Ferrari, Lamborghini, Lombardini, Maserati and Ducati to name a few. 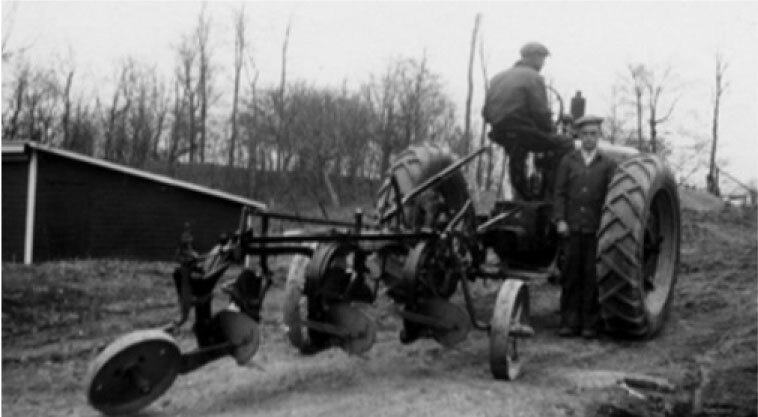 Back then, Werter realised soon that his passion was other than working the family land but rather that of “fixing” the family’s tractor seen here with his father on a FIAT 480 in 1944. This a classic example of that typical Italian passion that created the most famous motor brands we all have come to love. Very quickly Werter understood the potential for fixing vehicles and general earth moving equipments and started to think how to make tools and equipment that would make “life easy”. The ingenious came out and the first prototype of a hoist-jack was created. He realised that it was natural to spread out to fellow friends these amazing “novelties” and soon the demand for the more equipment started to spread. This was the initial start and opportunity to industrialise his ideas and products. 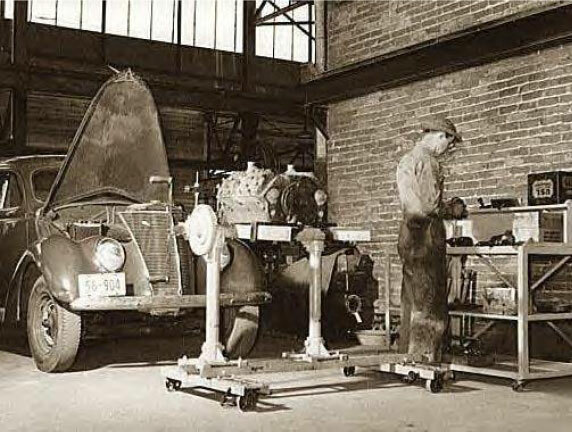 It came so that at the beginning of the 60’s he met a smart and fast talking sales rep. from Mantova, Mr. Enea Zanini, that would travel throughout the region of Emilia Romagna selling oil, grease and general hand tools to the various garages and workshops present at that time. BINGO: The combination of an intelligent and passionate entrepreneur with an educated fancy talking city boy made a dream come true. They both gathered all their savings and invested in a project that would soon to be a must for the Italian and later on the world markets. The Werther sold more than 175 pieces that first year it came out. In 1965 they established the company called I.E.S. (Industria Emiliana Sollevatori) and in 1970 gave it a more “international” name establishing Werther International Group. This was the beginning of a story still ongoing today. By 1987 the group was the 2nd most important manufacturer of vehicle lifts in Europe. By 2008 the group became the 4th biggest manufacturer of vehicle lifts in the world. Everybody had a “Werther” lift but nobody could see it. WHY? Simply because Werther manufactured for their direct competitors. The biggest brands of lifts in Europe and USA were made by Werther International.